There are far more police than army in Egypt. They are the everyday face of the regime. Hamdi was one of those rare Egyptians for whom school really was a means of social mobility. He came from a poor background, went to Cairo University, and went on to receive a Master’s degree at the American University in Cairo. Intelligent, comfortable in three languages, proud owner of a flat in an upscale part of Cairo, he was preparing for PhD study abroad. But he broke into a cold sweat every time a policeman was near. He saw policemen as dangerous, and walked warily around them. I came to understand when I read Farha Ghannam’s fine ethnography of urban Cairo, Remaking the Modern: Space, Relocation, and the Politics of Identity in a Global Cairo (2002, UCalifornia Press) which focuses on a neighborhood as poor as that in which Hamdi grew up. In one incident described by Farha, police investigating a crime simply went to the local ‘ahwa (traditional coffee shop) and rounded up every young man in the place. Some came back later that day, some were kept longer. All bore signs of beatings. The knowledge that the police can take you–any time, anywhere–without regard for evidence, due process or other protections–leaves many Egyptians with a profound fear of the police. The poorer you are, the more vulnerable you are–and the more you have to fear. A well-publicized case a few years ago involved a 13-year old boy named Muhammed Abdel Aziz, who was picked up on suspicion of having stolen four packets of tea. The following day his mother picked him up with burn marks across his body and a bloody hole in his back. He died a few days later–of his wounds, according to his mother, of pulmonary respiration illness, say the police. Cases like Muhammed’s are not rare–the Egyptian Organization for Human Rights has documented 567 suspected cases of torture at police stations between 1993 and 2007, including 167 deaths. But they are not common either. However, the more general experience of police bullying and extortion, whether inflicted on yourself or on friends and relatives–are part of everyday experience for many Egyptians. And every time you are bullied, you know what could happen to you if you push back too hard. There are more police in Egypt than there are soldiers. By most estimates, the police force consists of between 170,000 and 200,000 men, and one Arabic newspaper recently claimed the real number might be as high as one million if you include paid informers and other police associates. It is the police, more than the military, that serves as the primary arm of the regime in Egyptian society. Policemen fall into two categories, poorly paid cops and well paid officers. 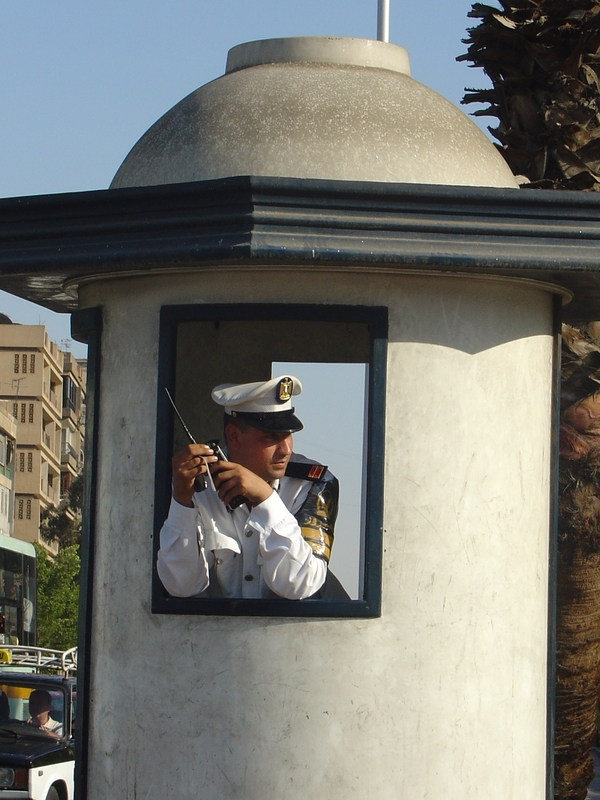 Extortion by neighborhood cops supplementing their inadequate salaries is an everyday occurance throughout Egypt. I’ve had a couple friends among policemen, especially among some of the tourist police. None of them have ever said anything bad about the police force itself, and they were quick to defend it against insults and exaggerations–yet they have on occasion protected me or my students against the extortion of other cops. It’s no coincidence these protests began on Jan. 25–Police Day. An end to the Emergency Law and the capacity for police abuses it engenders is a central goal of many protesters.